City of Dunwoody calls for Special Called City Council Meeting / Retreat on June 4th to discuss redevelopment issues. Email from staff mentioned the topic of discussion of the special called meeting is redevelopment within the city but as this is retreat I am not expecting other formal documentation but here is the Agenda and please note the location as it is not City Hall. 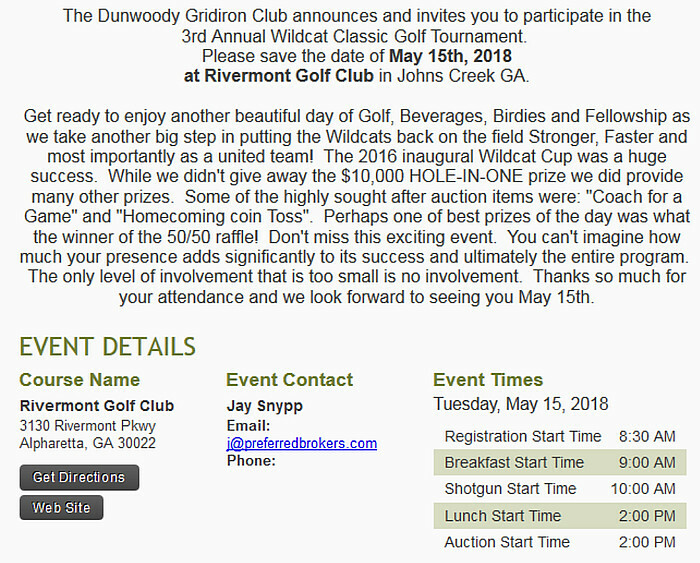 Below is a link to the large and detailed presentation that we went over in our first retreat in March but I am guessing (pure speculation) that next weeks mini-retreat will be some more of the same with additional details of what's coming, therefore even though there will be no votes taken, staff may want to glean direction on what to bring to Council for decision based on the discussions taking place. The meeting is open to the public, please join us. Second Helpings Atlanta provides part of the food that Malachi's Storehouse feeds to Dunwoody's hungry. 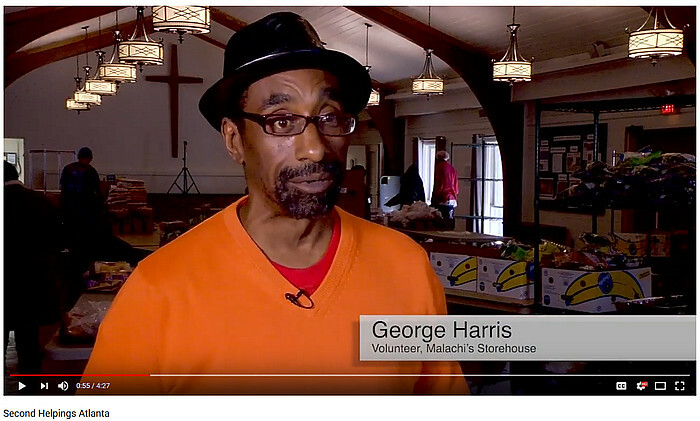 I came across a video by Second Helpings Atlanta that highlights the great service that Malachi's Storehouse of St. Patrick's Episcopal Church in Dunwoody does every Wednesday feeding hundreds of hungry Atlantans. Their Mission, is simple - it is to nourish both body and spirit, honoring the dignity of every human being around the giving and receiving of food. If you are in need of food for your family or you are able to donate your time, talents or funds; please check out the link for more information. Hot Lunch and food pantry. 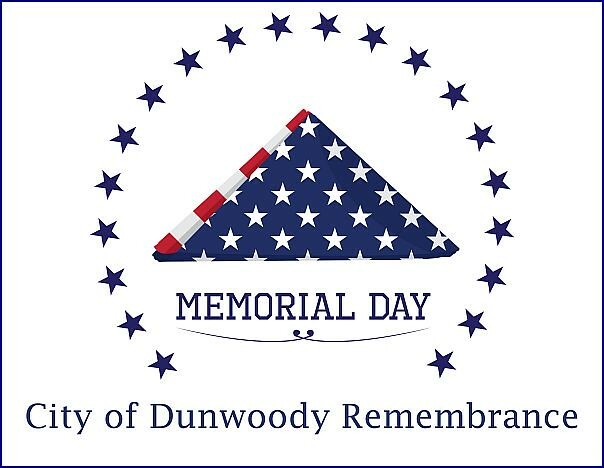 The City of Dunwoody will host its Memorial Day Remembrance on Monday, May 28th from 10:00 a.m. - 11:00 a.m. at the Veterans Memorial at Brook Run Park. The Communications Department worked with the Kennesaw State University A.L. Burruss Institute of Public Service and Research to conduct the city’s third community survey of residents. The goal of the survey is to gauge residents' satisfaction levels with city services as well as gather feedback and insights on select issues and compare the new data and findings with previous community survey findings collected in 2013 and 2015. Similar to previous community surveys conducted by the city, survey questions covered important topic areas including: Quality of Life; Public Trust; City Services; Community Events; Department Interaction; Community Communication, and Policy Issues. The community survey was developed by the city staff and the team at Kennesaw State University A.L. Burruss Institute of Public Service and Research and was distributed to a representative sample of 6,000 residential addresses in the city. Participants visited a secure online survey site, open to invitees from the end of February through the first week in April 2018. When the survey closed usable data from 516 respondents had been obtained, resulting in a response rate of 9 percent. The margin of error for the sample was at ±4.3% at the 95% confidence level. The data and findings from the 2018 Community Survey are included in the attached 2018 Dunwoody Community Survey presentation and 2018 Community Survey Final Report. 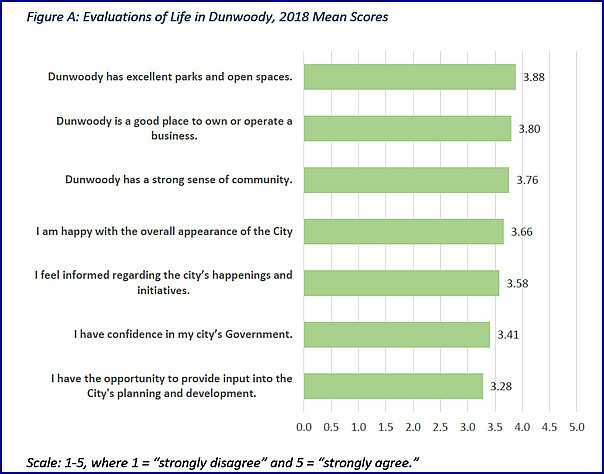 When considering strengths of the City of Dunwoody, location, a safe community, police services, and parks were pointed out by survey respondents. Whereas, traffic, streets and infrastructure, and transportation remain the top three weaknesses identified by the survey respondents. Comparing the 2018 Community Survey responses with the previous years, 2013 and 2015, there were several key perception levels that were notably different. 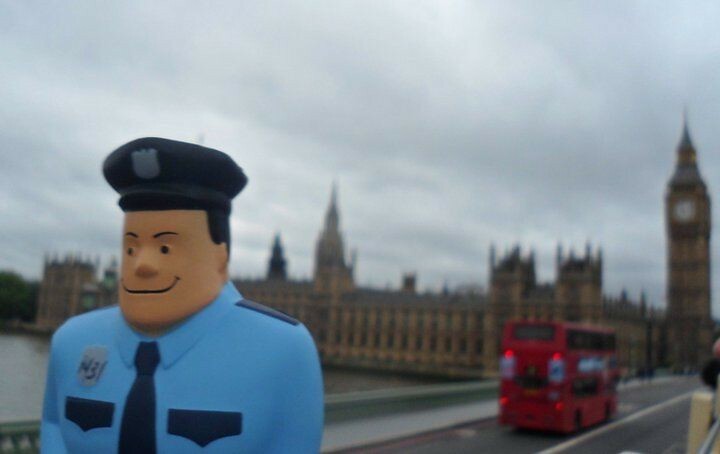 The services of the Police Department improved noticeably from 2013 and 2015 levels. Opinions of the city’s Parks and Recreation Department services had higher ratings compared to 2013 and 2015 responses as well. The customer service from the city’s employees was given higher ratings in all aspects by the survey respondents. 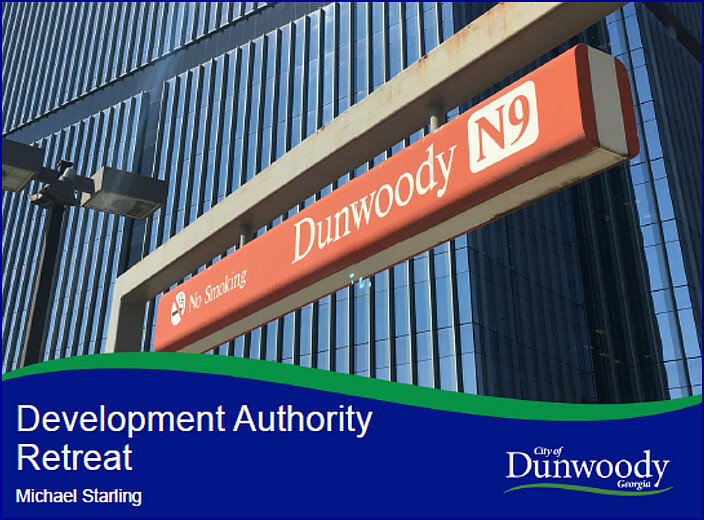 As a whole, Dunwoody residents provided positive features of the city in their evaluations. Areas that reflected top scores include several aspects of the customer service provided by the city employees, perceptions of the city as a good place to raise children, access to retail opportunities, selected perceptions of personal safety, and the importance of maintaining a balance between providing a healthy economic environment and maintaining the city’s character. Dunwoody Preservation Trust to offer Camp Flashback this summer for kids. This summer, let your kids learn history by living it. Are you looking for a convenient summer day camp that offers your children something fun, different and educational? Then consider letting them step back in time at Dunwoody’s first and only history camp for children at the newly restored Donaldson-Bannister House and Gardens – an authentic 1870 farm, right in the middle of the city. For rising 2nd – 5th graders, activities are designed to inspire, entertain and educate every day. All sessions are planned and led by experienced educators. For more information on Camp Flashback education team, please click here. Just a few of the activities that will capture your child’s imagination. School Days, Games & Music will include activities such as calligraphy, learning about and using chalk and slate, making and playing 19th century games, singing and playing musical instruments. Early drop-off and late pick-up available at $85 per week when added at Registration. Fees: $200 for members; $225 for non-members; $250 to add basic membership and register 1 child (this option also offers 1 one-day ride wristband for Lemonade Days 2018). The Donaldson-Bannister House and Gardens, 4831 Chamblee Dunwoody Road, Dunwoody, GA 30338. For more information about Camp Flashback, please contact Suzanne Huff, Executive Director, shuff@dunwoodypt.org. Sponsored by Dunwoody Preservation Trust and staffed by experienced educators, Camp Flashback will let campers experience history by doing the ordinary things the original children of the farm would have done. They will get the feel of living in the past as they learn by doing – without technology. 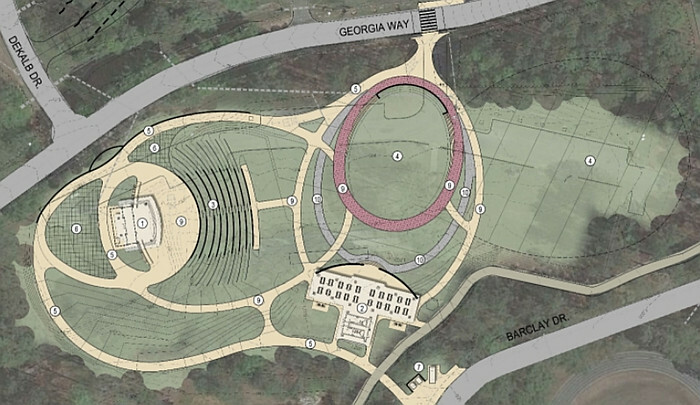 The three areas slated for improvement include the back of the park where there are two proposed rectangular fields under consideration, the great lawn which would include a music bandshell and finally an improved event parking lot linked between the back entrance and the skate park. The price ranges for the various options are between nine and five million dollars and the differences between the plans are for improved bandshell usability / dedicated seating near the bandshell / improved bathrooms / larger pavilions / and various hardscape which to me would make the whole facility wheelchair accessible. I am leaning towards the expanded option because the added amenities will greatly improve the overall functionality of the parks public spaces. Not having quality restrooms, large pavilions, pedestrian walkways and some dedicated seating at concerts is shortsighted and with construction prices rising every year, I believe the Dunwoody City Council should find ways to move forward with installing the best amenities that we can afford. 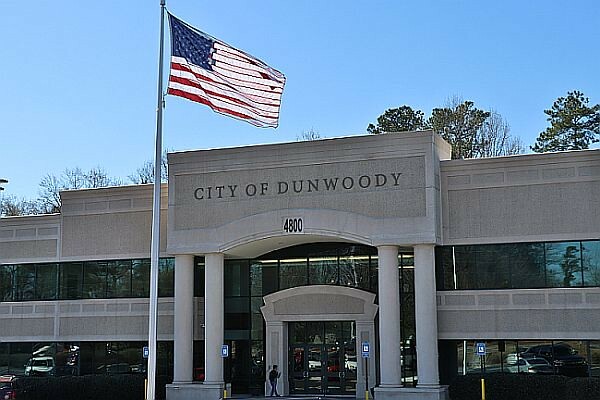 City of Dunwoody is looking for citizens willing to serve on an advisory board, commission or committee. Citizen Applications are needed to fill various boards. Dunwoody 4th of July t-shirts available at Art Festival today & online. Happy Mother's Day to everyone and I hope your day is filled with joy from all the people who love you! 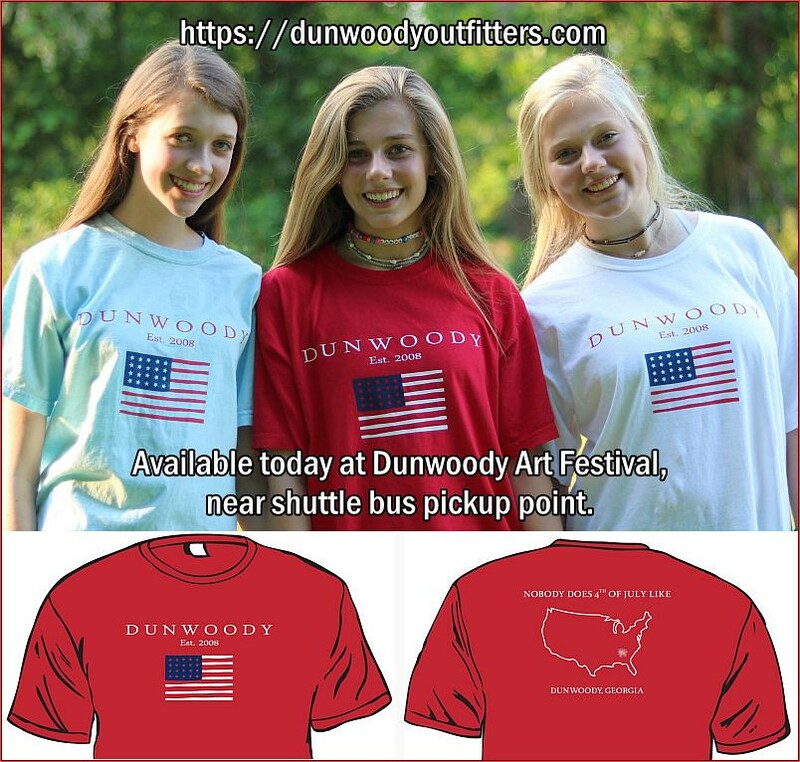 Yesterday I took my lovely bride and the mother of my three boys to the Dunwoody Art's Festival to buy various trinkets that caught her fancy and one of our stops was to talk to the girls of Dunwoody Outfitters who now have Dunwoody 4th of July t-shirts on sale. The Art's Festival will still be happening in full force today until 5 p.m. and girls are stationed near the shuttle bus pick up, in front of the Press Blend Squeeze juice and sandwich shop, so if you are interested in buying a shirt to support these young entrepreneurs, please stop by. I know what I will be wearing in the State's Largest 4th of July Parade, maybe you can join me? 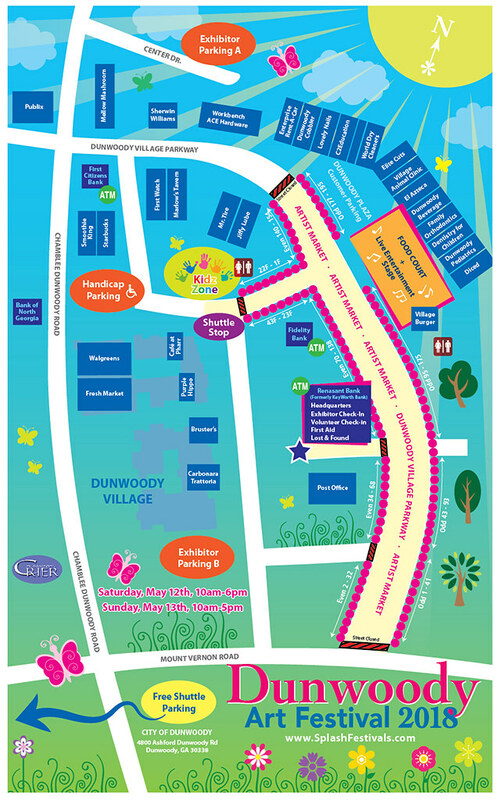 Saturday May 12, 2018 from 10:00 a.m. to 6:00 p.m.
Sunday May 13 from 10:00 a.m. to 5:00 p.m.
A Mother's Day tradition in the City of Dunwoody, the crowd-pleasing Dunwoody Art Festival will celebrate its eighth dazzling show on May 12, 2018 from 10:00 a.m. to 6:00 p.m. and May 13 from 10:00 a.m. to 5:00 p.m. In 2017, Dunwoody Art Festival drew a remarkable crowd of more than 50,000 happy grandmothers, moms, children, and of course, lots of dads too! Bestowed the trophy for the "Best New Event of 2010" by the Southeast Festivals and Events Association, Dunwoody Art Festival continues to attract the top artisans from across the country. Along with the partnership of the Dunwoody Crier, incredible community volunteers and the Dunwoody Rotary Club, Dunwoody Art Festival is a must-see! A fun-filled Kidz Zone will await youngsters with great rides, sand art, imaginative crafts and games. A relaxing stage with continuous live music will be located in the festival cuisine area and will join Village Burger and other great eats from neighborhood restaurants. Sit down and relax before setting out again in search for that "gotta have it" piece of art. There truly is something for everyone at Dunwoody Art Festival! Parking/Transportation - Free parking and shuttles are available at the City of Dunwoody building, 4800 Ashford Dunwoody Road and at the Crown Building, 4828 Ashford Dunwoody Road. 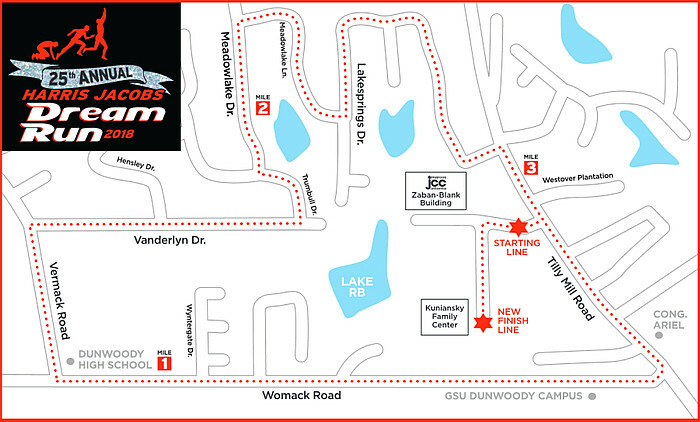 Shuttles run regularly from Saturday at 9:45AM until 6:30PM and Sunday from 9:45PM to 5:30PM. Look for the "Art Festival Parking" signs. Parking for those with disabilities - Parking for visitors with motor scooters or wheelchairs is available in the Dunwoody Village shopping center, next to Starbucks and Smoothie King. Look for the Handicapped parking signs. My friend Tina Walden has a creative, artistic streak whereby she has just turned her hobby of bringing new life to outdated furniture into a small start up business. Her company is called ReVarne and she is also creating handmade decor accessories to complete any room. I purchased the large sign above and by the end of the evening my wife loved it so much that she had it wrapped for a very special teacher at Dunwoody High School to hang in her room in order to thank her for Teacher Appreciation Day. Long story short, I've just ordered a second sign and figured I would share Tina's skill set. If you are interested in obtaining your own sign, Tina's information can be found here on her ReVarne Facebook page and the sign pricing is below. 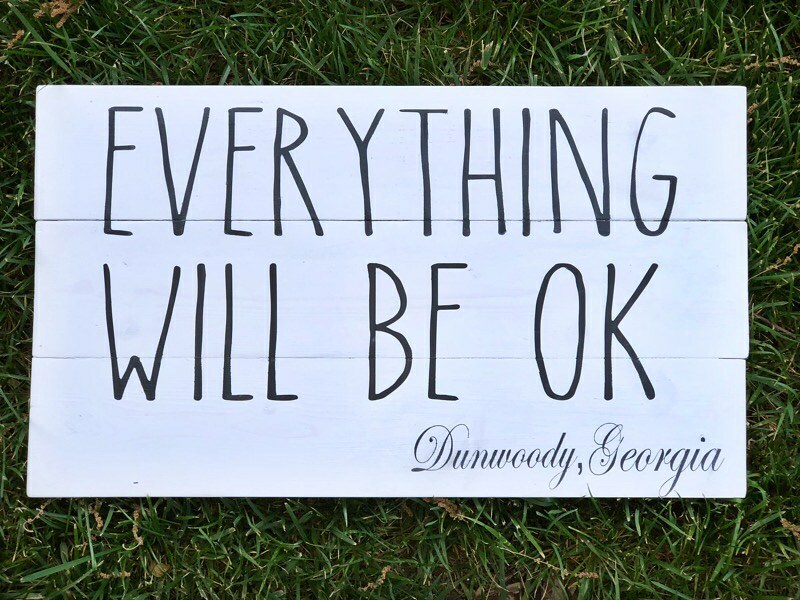 The signs are Farmhouse chic inspired by an art installation at a local home built in 1867 in Dunwoody, GA. Handmade and painted with chalk paints with protective wax finish. The City of Dunwoody will be hosting a public open house for the proposed intersection and sidewalk project on Roberts Drive at the new Austin Elementary driveway on Thursday, May 10th, 2018 from 6:00 p.m. to 8:00 p.m. at City Hall, which is located at 4800 Ashford Dunwoody Road; Dunwoody, GA 30338. With the new school driveway at the Dunwoody Nature Center entrance a traffic signal controlled intersection will be needed along with right and left turn lanes. The proposed project also includes sidewalk on the west side of Roberts Drive from Dunwoody Knoll Drive to Chamblee Dunwoody Road. At the Open House, viable intersection concepts and other project components will be on display with City of Dunwoody representatives available to answer questions and receive feedback. The project is in its early design stages and dialogue between the City and the public is valuable to determine the best solution. I have met with residents of the Fairfield complex as well as several neighbors on Roberts Drive who have concerns regarding not only the various turn lanes that will be installed at the new traffic signal at the Roberts Park Drive (northern shared DNC & Austin driveway) but also the sidewalk on the west side of Roberts between Dunwoody Knoll and Chamblee Dunwoody as they believe this will forcibly remove many of the large trees abutting the Fairfield complex as the area between the trees and the brick wall is limited in spots. The neighbors I talked to have concerns on the planed sidewalk and would prefer have the sidewalk installed only between Dunwoody Knoll and the signal at the new Austin entrance, leaving the buffer of trees south of Austin on Roberts alone as they claim there are no pedestrian uses on the west side between the new Austin area and Chamblee Dunwoody. The owners of the Swancy Farmhouse, the historic home registered with the Dunwoody Preservation Trust, located directly across from the bus entrance on the new Austin site has the most to lose as that home was built before Roberts Drive was installed and the home sits very close to the street with limited right of way therefore street and sidewalk improvements may negatively affect that historic property more than most. I talked to Mr. Michael Smith, the City Public Works Director tonight at the City Council meeting and he said that the concept plan released today should allow the sidewalk to meander around many of the trees and the City may put in flexible sidewalks above some of the trees root systems in order to save them. While touring the area the other day, I noted that the widths of the sidewalks on the east side of Roberts seemed smaller than standard and might negatively affect the safety of the numerous children that will be walking from the Wintercreek subdivision therefore I recommended to Mr. Smith that these walking paths be reviewed for possible improvement as part of this project. Besides all of the direct properties affected, I expect Austin Elementary parents & representatives of the Dunwoody Nature Center will be in attendance on Thursday to review the project plans. 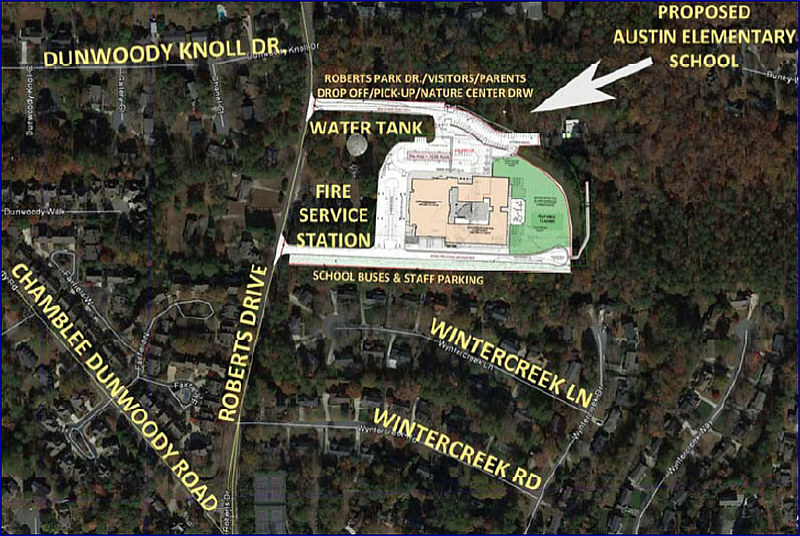 I am also guessing that the residents of Dunwoody Knoll Drive which is a connector street between Roberts and Chamblee Dunwoody near the Austin Elementary signal will be attending as well as their traffic patterns and access to Roberts Drive will be modified. Other than the preliminary concept design that was released Monday evening, the Dunwoody City Council hasn't seen any other planing documents for this project as I am guessing they will be released at the open house on Thursday but the RFP containing the design planning requirements are available for review, along with all traffic and pedestrian information. I have also shared with the neighbors, the link to the Dunwoody GIS site which clearly shows the property and right of way lines for all properties in the city including those affected in this project. Please share the details of this concept improvement with your neighbors and we hope to see you on Thursday, 6 pm at City Hall. For more information, please visit the City’s website at www.dunwoodyga.gov or contact the City of Dunwoody at 678-382-6700. 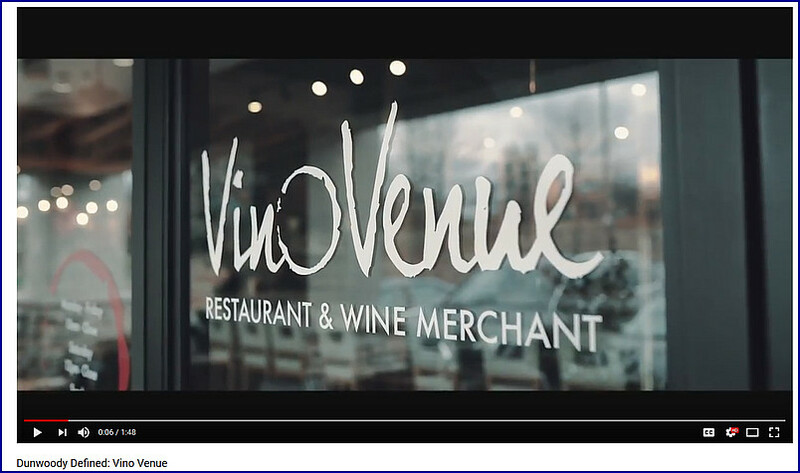 Venue’s fundamental priority: wine education at Atlanta Wine School. Recognition of Dunwoody Police Department Officer of the Quarter and Employee of the Quarter. FIRST READ: Amendment to Chapter 20: Review and Consideration of Text Amendment Regarding Standard Informational Signs. Consideration of Amendment to City of Dunwoody Special Event Signage and Advertising Policy. Item missing from city packet - will request removal. FIRST READ: Amendment to Chapter 8: Review and Consideration of Text Amendment Regarding Roof Inspections. Approval of a Contract Amendment with Calyx Engineers and Consultants for the Mount Vernon Road at Vermack Road Intersection Improvement Project. Approval of a Construction Contract for Intersection Improvements at Mount Vernon Road and Vermack Road. 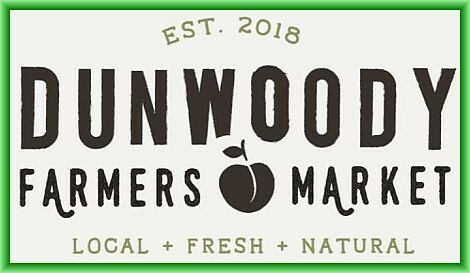 Dunwoody Farmers Market opens Saturday morning at Brook Run Park with a great list of vendors. Handcrafted Italian gourmet olive oils, seasonings, balsamic vinegars, pestos, tomato sauces, and pastas. Local farm with a variety of Certified Naturally Grown, seasonal produce. Locally grown fruits and vegetables, non-GMO and pesticide free, with high quality, sustainable growing methods. Bi-weekly. Farm fresh pasture raised eggs, fresh vegetables, goat milk lotions and artisan soaps (every other Saturday). Every kindof pancake imaginable to snack on and to take home and enjoy all week! Locally grown Georgia peppers and produce, farmed by Dunwoody residents. Chamblee-based popcorn snacks and treats! When little boys join the Boy Scouts they band together to form a patrol of boys their own age in order to go through the adventures of scouting as a group. 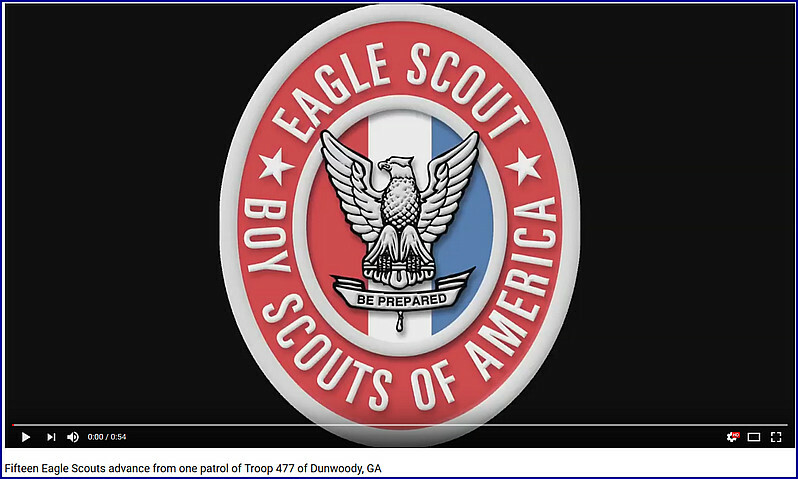 Only 4 percent of all Scouts ever make it to the rank of Eagle but there is an incredible story coming out of Boy Scout Troop 477 from Kingswood United Methodist Church in Dunwoody, Ga.
15 Scouts from the Batman Patrol have made the coveted rank of Eagle Scout before their 18th birthday, the deadline of aging out of the program. Records are being checked with Boy Scout Headquarters but this level of achievement is unprecedented and may actually be record setting. The 15 Eagle Scouts are - Levi Hoey, Nicholas Fraser, Sam Lucius, Barrett Williams, Cole Griffith, Evan Maxwell, Caleb Sparks, David Antonino, Joshua Wall, Peter Richardson, Drew Cottle, Josh Bieber, Jackson Kuller, Riley Heneghan, Ben Todd. 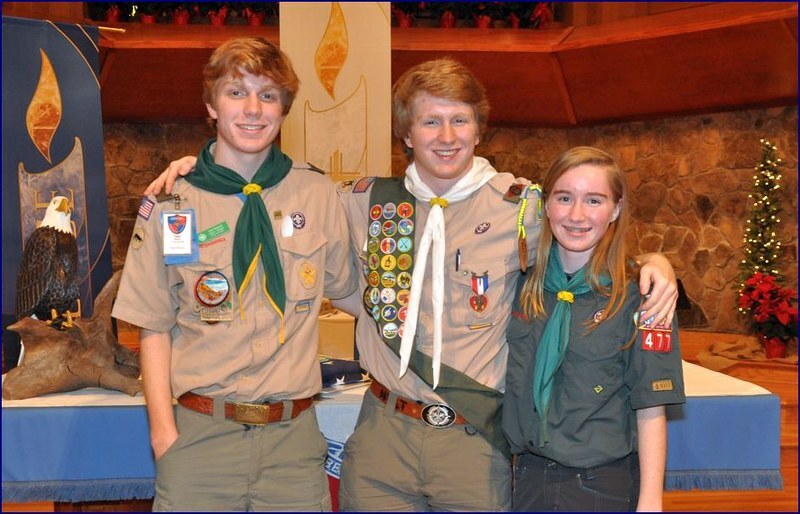 Special recognition goes out the Scoutmasters and adult leaders of the Troop, including Bob Melton, Barry Deutsch, Nathan Sparks, Peter Bain, and the many others who helped make this happen. 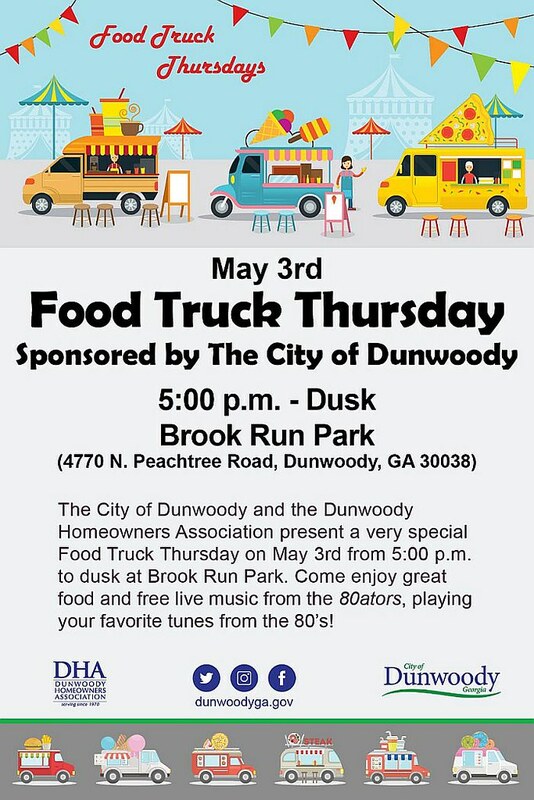 Forecast for Dunwoody's Food Truck Thursday is 80 degrees with an 80's band. Plenty of food & drink - come on out! The Marcus Jewish Community Center of Atlanta invites the community to run or walk in its family-friendly 25th Annual Harris Jacobs Dream Run (HJDR) 5K road race on Sunday, May 6 at 8:00 am. The race begins and ends at the Marcus Jewish Community Center of Atlanta’s (MJCCA) Zaban Park campus (5342 Tilly Mill Road, Dunwoody, 30338). The Family Fit & Fun Fair immediately follows the race. The Harris Jacobs Dream Run (HJDR) was created 25 years ago to serve our community with a fun, active, and family-friendly event that honors the memory of Harris Jacobs, a past president of the MJCCA and influential member of the Atlanta Jewish community. Come for the run, stay for the fun! Post-race activities include: the Family Fit & Fun Fair, featuring the Atlanta Hawks Flight Crew, rock climbing wall, face painting, complimentary massages, and more! The HJDR course is a 2019 Peachtree Road Race qualifier (allowing runners to use their time to qualify for a start wave in the 2019 Road Race) and all participants will be chip-timed. Participants will receive a high-performance t-shirt. Proceeds of the HJDR support the MJCCA’s Blonder Family Department for Special Needs, a unique and welcoming program for individuals of all backgrounds and abilities to socialize, learn, grow, and deepen their connections to one another and the community. 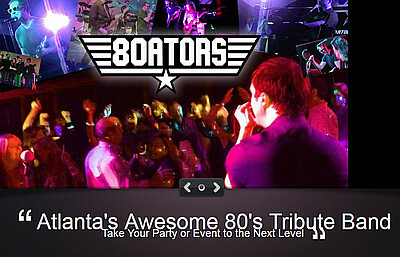 More info: contact Pam Morton at 678.812.3981 or pam.morton@atlantajcc.org. Dunwoody High School teacher loses home to fire and funds are being collected to assist one of our own. 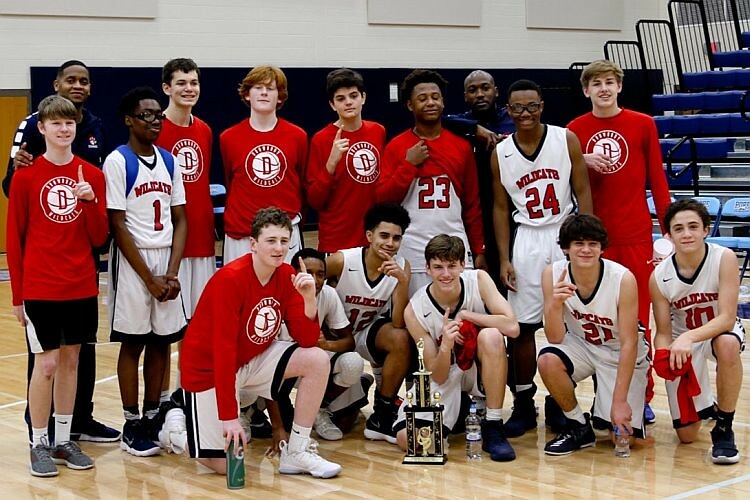 Just after midnight on Friday, April 27, the house of beloved Dunwoody High School teacher and coach, Jermaine Searles, caught fire. His wife and family (and dog) were all able to get to safety but the house has been declared a total loss. Coach Searles (as he is known to his 9th grade boys basketball team) led the team to its first ever 6-7A regional championship this year. He is also in his 2nd year at DHS as an Interrelated math teacher and just completed his masters degree in Special Education. He loves his Dunwoody High School students and athletes. We are starting this Go Fund Me page to help them get back on their feet and to show support as they navigate this journey. His family has expressed such gratitude for the Dunwoody community rallying around them during this difficult time.